What is The “Comfort Women” Problem? This catalogue is a reproduction of the contents of the exhibit WAM’s 1st special exhibition. 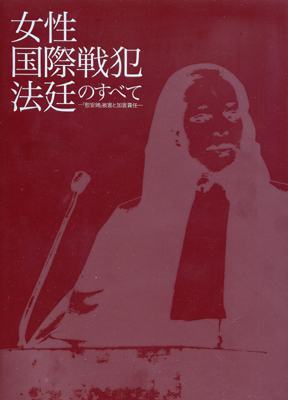 The catalogue includes the chronology of The Women’s International War Crimes Tribunal, court sessions, prosecution, evidence, and information on the distortion of history- a chart comparing textbooks former content and their present content and a list of the statuses of judgements of cases brought by individuals before the Japanese court. This catalogue is fully loaded with valuable information.